Colony Worlds: Colonizing Mercury, Could It Be Done? Mercury is a world unlike any other. 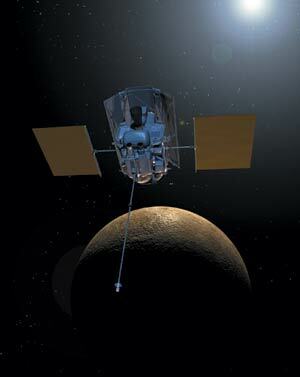 Reaching temperatures up to 427 degrees Celsius, Mercury is not the place one would choose to go sun tanning. Mercury is a very barren and harsh planet, with little economic value, unlike the Moon. But what if technology revealed precious metals beneath its surface, enough to convince humanity to face the dangers of space, and reap its potential resources for our benefit. Would we be able to colonize the first rock from the Sun? Could it be done? Because of its closeness towards the Sun, Mercury lacks the "explorer appeal" that surround both Mars and Earth's lunar neighbor. However, Mercury does have several advantages over both the Moon and the red planet, which might make it appealing towards future colonists heading for the stars. 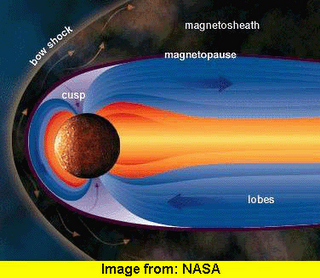 Mercury is one of the few terrestrial worlds boasting a magnetic field, along with Earth and Jupiter's moon Ganymede. This field is critical as it helps filter out harmful rays from the sun, which can be devastating towards the human body. Although only at about 1% strength when compared to Earth's, Mercury's magnetic field deflects the solar wind about a thousand kilometers from the surface. Despite its size, this small region of covering may be more than enough to protect human explorers. Another advantage point is that Mercury's gravity is about 38% when compared to Earth's. Although this may not seem like a major issue, gravity plays an important part in our lives and micro-gravity can be devastating towards the bones and muscles of the human body. Since some scientists consider gravity over one third (or 33%) to be acceptable for the human body, Mercury would be one of the few terrestrial worlds habitable long term. Although being close to the Sun has its disadvantages, it does carry with it one advantage--solar energy. Since a day on Mercury is approximately 58 and a half Earth days, the planet could benefit from long periods of uninterrupted sunlight. Solar panels could be constructed around the world, with future communities "borrowing power" from sunlit regions or switching to nuclear power during the weeks of darkness. It's closeness towards the sun would also provide scientists with a way to observe solar phenomenon more closely, allow us to understand space whether and perhaps establish an early solar storm warning throughout the star system. Aside from basic planetary data, very little is known about this world. As NASA and other organizations set their sites upon the Moon and Mars, they may want to consider adding Mercury to the list, as its density (second only to Earth's) may hint at the possibility of mineral and metallic resources. Whether through commercial, scientific or possibly penal interests (as a future prison world), colonizing Mercury may not sound as far fetched as some imagine and we may one day in the future call this world our home.